Design, deploy, and maintain your own private or public Infrastructure as a Service (IaaS), using the open source OpenStack platform. 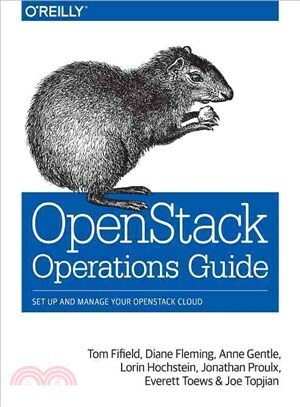 In this practical guide, experienced developers and OpenStack contributors show you how to build clouds based on reference architectures, as well as how to perform daily administration tasks. Tom has been working on OpenStack clouds in production at the University of Melbourne and actively triages doc bugs as well as submitting many doc patches. Tom currently serves as an OpenStack community manager. Lorin started running OpenStack at University of Southern California's Information Sciences Institute (USC-ISI) and now works a Lead Architect at Nimbis Services. Jon has been piloting an OpenStack cloud as a senior system administrator at MIT for his researchers to have as much computing power as they need. He started contributing to OpenStack documentation and reviewing the documentation so that he could accelerate his learning. Jon recently upgraded to grizzly and survived. Everett worked with Joe at Cybera prior to coming to Rackspace in Austin to be a developer advocate for those using the OpenStack APIs, and an important aspect of this advocacy is written code examples and code for the jclouds Software Development Kit. He also wrote internal documentation for deploying the OpenStack cloud at Cybera, and worked side-by-side with University of Melbourne admins like Tom to get their deployment up and running.